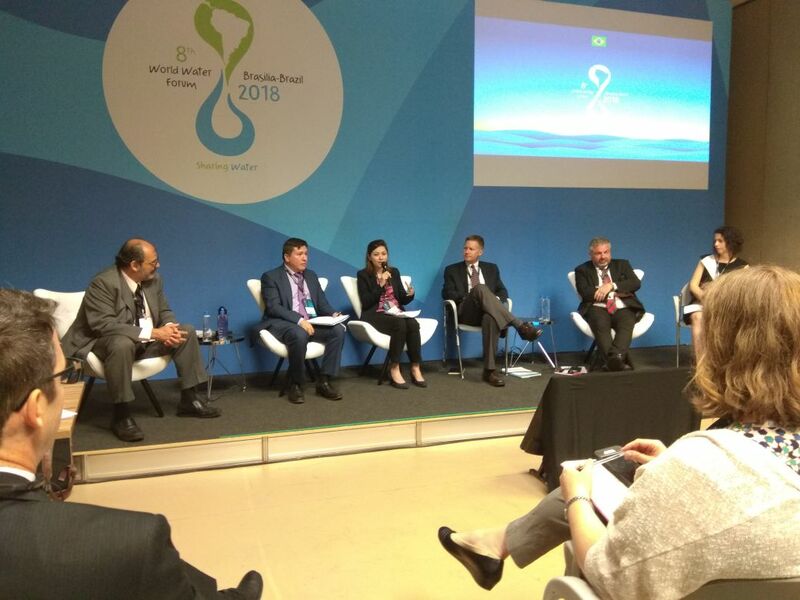 Shabana Abbas (VIA Water team member) was at the recent World Water Forum 2018 in Brasilia, Brazil. 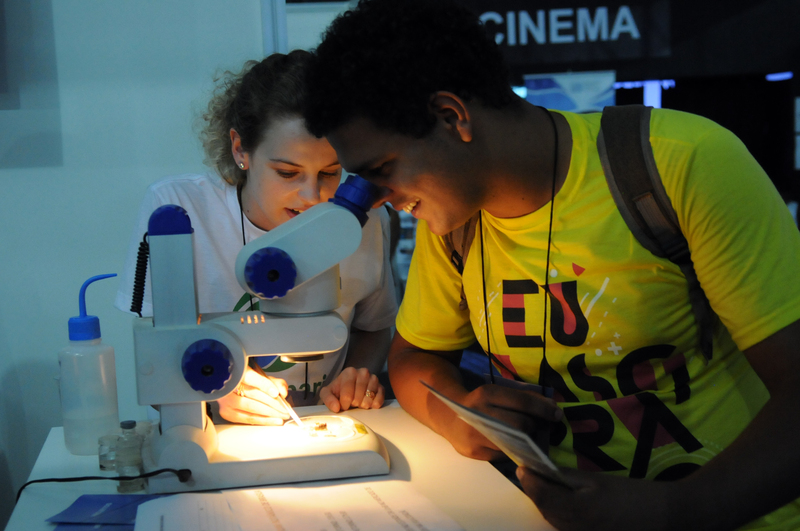 She represented both Water Youth Network (that she leads as President) and VIA Water as a programme of Aqua for All. ​In her capacity as VIA Water team member, Shabana was invited to speak in a session called ‘Broadening the access to financial resources to peri-urban low-income areas and small scale services’ where she put on the table her experiences with the VIA Water programme. 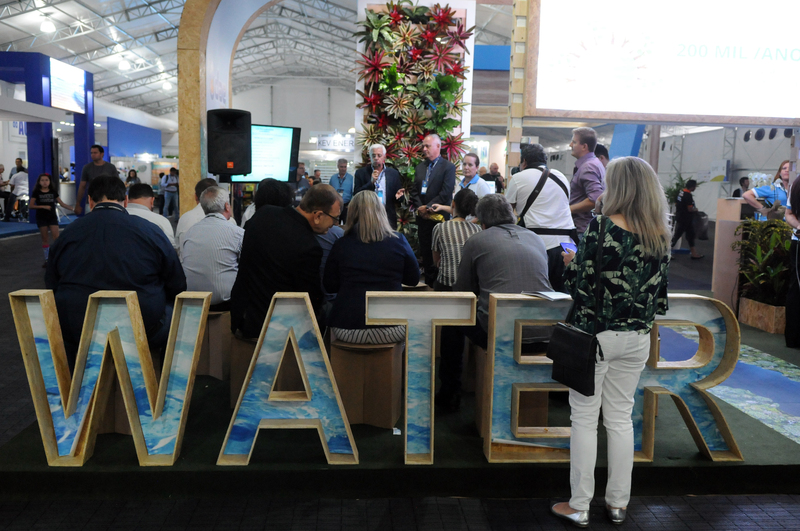 The session was convened by Water.org, French Agency for Development, Swiss Agency for Development & Cooperation, EPA-USA, Sanitation & Energy Regulatory Agency of Sao Paulo State. We need to speak differently to the private sector. Some investors will be purely looking for financial returns; which is fine in itself. What we should be doing, is pairing them with others who deliver social returns. The information gap needs to be bridged. Private investors need transparent data to help them make business decisions, and currently this is not readily available. This leads investors to seek for opportunities in other sectors, where data can be obtained more easily. Capacity of water service providers needs to be improved to drive private investment. Currently, this factor is too unreliable for investors. Sectors other than water, like energy, have a lot of interesting examples of successful financing mechanisms. These can be shared and the water sector can learn from them. Appropriate governance of water service provision at any level requires a mixed funding structure. No developed water service delivery system was successful without government subsidies – you cannot do away with them completely in the quest to crowd-in private investment. During the forum, Shabana also participated in a special session called ‘Aqua-awareness’ where she spoke about the ‘Walking for Water’ programme of Aqua for All. The session highlighted programmes and initiatives that engage citizens, women and children on water awareness and behavioural change. ‘Walking for Water’ programme was showcased as one of the best practices in Europe. The next forum will be held in Dakar, Senegal in 2021.